Moving to a new home is an overwhelming and exhausting task. Organizing family members and home luggage carefully is always a challenging task. If everything from packing luggage at one place and moving it to a new place is well planned, then relocating becomes easier. Pre-planning is always beneficial before actually moving to a new house. Every homeowner has a different set of luggage, requirements and thus different set of priorities. Few people lead a nomad's life and live with all of their belongings packed in bags or boxes. For the majority of people like the ones moving to a township in Indore, moving to a new house will prove to be a mammoth sized task. After all, its not easy packing up your whole life completely and settling down somewhere else. Here are a few tips for the person moving to his/her new house in Indore or anywhere else which will make the task easier. * Making a List: Shifting houses like any other big task needs to be properly planned no matter how little time it is for the task to be done. The major step of planning is to make a list and write down every minute details and steps that are to be followed by the family members. 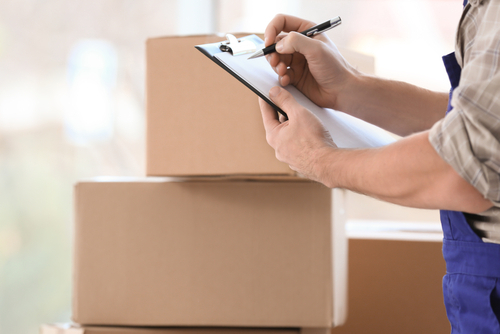 * Acquiring Boxes: While moving many people contact moving agencies, in this case, a person doesn't need to worry about boxes to pack all the belongings since the agency will provide. But if a person is planning to do the whole shifting process with the help of the family alone then cartons are a must buy. 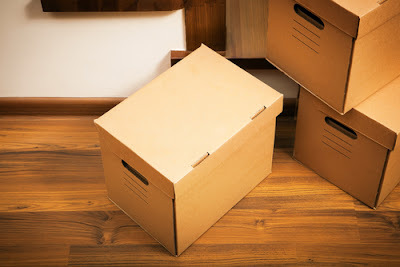 If these boxes or cartons take up extra space in the person's new house in Indore, these can always be gotten rid of but are most important during the shift. * Packing one's stuff: The whole shifting process becomes a lot more hassle-free if all the members of the family pack their things according to their needs. * Packing the essentials and valuables: While packing a person should keep in mind the daily essential things, the ones he/she might need the last thing in the old house but the first thing in the new house in Indore. These should be packed separately, and the box containing these should be easily identifiable. A person should keep the valuables with him/her at all times during the shift, and in case this becomes impossible needless to say someone should always watch over these during the shift. * Labelling and color coordinating: Each and every box and luggage should be labeled to avoid confusions. It will benefit in the shift if the boxes and their corresponding rooms in the new house are marked with the colors. That way the person shifting and the shifters would know which box goes in which room. * Finishing Touch: A person should not forget to inform the post office and the telephone service provider about the address change. Also if the shifter has children and a family, the little ones should be told the reason if the shift since they tend to be the most emotionally affected ones in case of a shift to the new house. All these if ardently followed is guaranteed to make moving houses hassle free and a mover is bound to enjoy his/her moving experience to a new house in a township in Indore. * Start packing early. Never do anything on the last minute. If you don't pack your items on time, you will eventually have to rush this process in the last couple of days and this is the time when you can make mistakes. For example, you can forget important belongings or even damage fragile items if you don't handle them with care. Make sure that you start packing the items a couple of weeks before the moving process and you will eliminate a lot of stress. * Prioritize and label accordingly. Although labeling the boxes seems pretty simple and straight-forward, you should pay a little bit more attention to this task. Try to be as specific as possible and make sure that you provide plenty of details on the boxes. This will help you handle the packaging boxes more efficiently and easier. Also, try not to overload your boxes because they will be much heavier and harder to transport by a single person. * Use original cases for certain belongings. If you still have the original case of your laptop or printer, then you should make use of it to move your stuff to your new house. Also, on the market, you can find packaging kits and supplies at affordable prices, and they are specially made for relocating purposes. * Use bubble wrap and blankets as stuffing. Sometimes your belongings will not completely fill your packaging boxes, and to protect your stuff and prevent damage, you can use lots of bubble wrap and even thick blankets as stuffing. They will absorb most of the shocks, and your items will remain in one piece during the relocating process. * Pack a few boxes with stuff you need right away. When you arrive at your new house, you might not have enough time to unpack all the boxes in that evening and put everything in its place. Therefore, make sure that you gather the most important items and you pack them in a few boxes which you label accordingly. When your relocating process is finished, you can make use of the things in these boxes for a couple of days, until you get back on your track. Personal belongings suitable for these boxes might be basic clothing items, cosmetic products, phone/laptop chargers, etc. The rest of your cargo can be unpacked in the weekend or whenever you have more spare time at your disposal. No matter how big or how small your relocating process is, it can always be stressful and overwhelming. Luckily, if you prepare everything on time and you know a couple of tips and tricks as listed above, your relocating experience will not be that complicated, and you will not encounter unpleasant surprises along the way either.